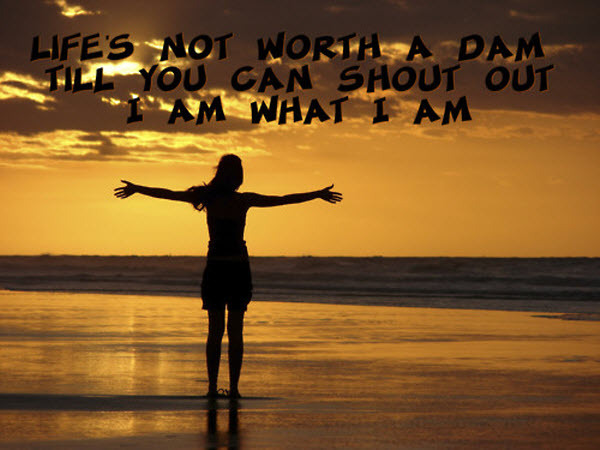 I AM What I AM and that is What I AM! I Love Being Me in all of My Totality! Every Day Whether Blissful or Dismal was Created By Me for Me. A Day spent in the Office, that Feels so unlike ME, Also Allows ME to have Days when I can JustBeMe... Come Rain or Shine I AM ALWAYS Divine! I AM Eternal and this I KNOW! YOU and I Co-Create this Journey so Surreal, and yet Real. WE are Individuals, yet WE are ONE in UNITY. WE are Mirroring US each and Everyone! I Love YOU and YOU LOVE ME. Separation it just Feels a Part of this Finite Reality. Every Role WE Play is a Lesson Learned and Wisdom Gained. We Play these Roles to Show the Way. For WE are The WayShowers and WE Light the Way.